If you are thinking about the back labor symptoms during pregnancy most probably you know that labor and childbirth is one of the most physically demanding aspects of a woman’s life. Women dread back labor and with good reason. Nonetheless it is good to know that there are some remedies as well. Back labor is characterized by severe pain and discomfort in the lower back experienced by pregnant women during the later stages of their pregnancy. It is normal to experience some discomfort in the back during pregnancy, but this kind of pain is severe. Usually it is painful between the contractions and it gets even worse during them. One of the most common causes of the pain is the baby’s position. One of these positions is known as occiput posterior and it means that the baby is facing the mother’s belly. As a result the head of the baby puts pressure on the mother’s tailbone. The position of the baby isn’t the only cause of the back labor symptoms during pregnancy. 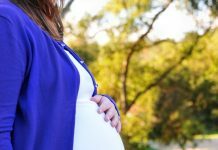 According to the studies conducted in this field, the women who experience back pain during their menstrual cycle are likely to be affected by back labor as well regardless of the baby’s position. How to make the signs better? If the pain is caused by the position of the baby, the best thing to do is to make the baby change his or her position. There are several techniques that can be used for this purpose. This is a good starting point even if the cause of the problem is not known. The mothers could try different techniques until they find one that works. These include walking, using a birth ball, lunging, squatting, hula-hoop dancing, doing pelvic tilts, using a rebozzo, having open chest and knee positions, and sitting backwards on the toilet or a chair. As it has been mentioned before, one of the back labor signs during pregnancy is discomfort. To make this better, women could use hot or cold compresses, counter pressure, hydrotherapy, a heated rice sock, using a water bottle to apply pressure or using a combination of the techniques mentioned. 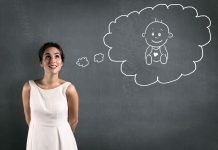 Women shouldn’t really stress about the back labor symptoms during pregnancy before the labor starts because in this case like in many others the mind is able to control the amount of pain you are in.